Reclusive R&B star D'Angelo has been off the radar for a decade, despite persistent rumours that a new album is on the way. Now, in a new interview with Billboard, British producer Mark Ronson has revealed that he will be entering the studio with D'Angelo to contribute to the long-delayed follow-up to 2000's Voodoo. 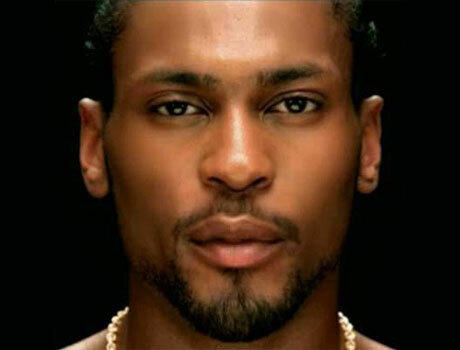 Ronson is hardly the first collaborator D'Angelo has recruited to work on the album. We previously reported that John Mayer and Raphael Saadiq would appear on the album, while Billboard announced that Prince and Gnarls Barkley's Cee-Lo Green would also contribute. Ronson told Billboard that he wasn't sure if the album was almost done, but said, "I know he's been working nonstop. It's not like they've been sitting on their asses." This latest session isn't the only Ronson/D'Angelo collaboration that fans have to look forward to. The soul singer contributed vocals to Ronson's "Glass Mountain Trust," which will appear on his new album, Record Collection, due out September 28. As for how Ronson has managed to score so much face time with D'Angelo, it's because the singer is a fan of Amy Winehouse's Back to Black, which was produced by Ronson. "I was pretty much floored when D said that the only two records of the past five to six years that he really listened to a lot were St. Elsewhere by Gnarls Barkley and Back to Black," Ronson said. D'Angelo's new album was previously slated to be called James River. It's unknown whether this is still the planned title. ​Stream D'Angelo's 'Red Dead Redemption 2' Song "Unshaken"
Is There a New D'Angelo Song in 'Red Dead Redemption 2'?